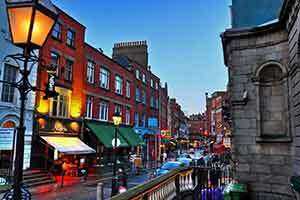 With views over the River Liffey, the Hilton Garden Inn Dublin Custom House is located next to 3Arena, EPIC Ireland museum andthe Bord Gais Theater. Spacious rooms feature flat-scre and bathrooms equipped with spa toiletries, a workspace area and tea/coffee making facilities. 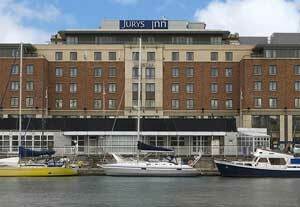 Jurys Inn Cork is on Anderson’s Quay overlooking the Lee River. 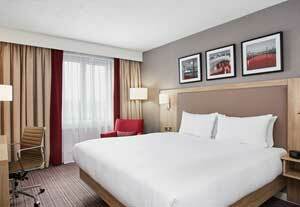 The rooms are modern and spacious with a cable TV, spa toiletries, and spacious bathrooms. There is a workspace area and tea and coffee-making facilities.Jurys Inn Cork is a 5 minute walk from the Merchants Quay Shopping Center and the main shopping area of St. Patrick’s Street. 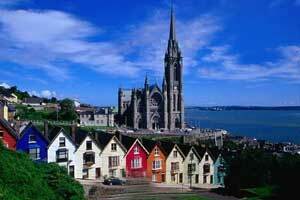 The English Market, The Boardwalk, and Shandon Steeple are both within a 10 minute walk of Jurys. 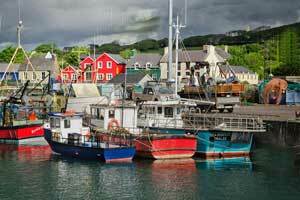 Situated by Dingle Harbor, near the pier and the marina, newly refurbished, family owned Dingle Bay Hotel offers free Wi-Fi in certain areas, a stylish bar, and a restaurant.Each room features an en suite bathroom, tea/coffee making facilities, and a TV. "This was an amazing tour with so many incredible memories." 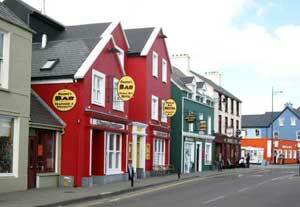 Email Hops, Grains & Slainte - Irish Whiskey, Food & Adventure - 8 days to a friend!